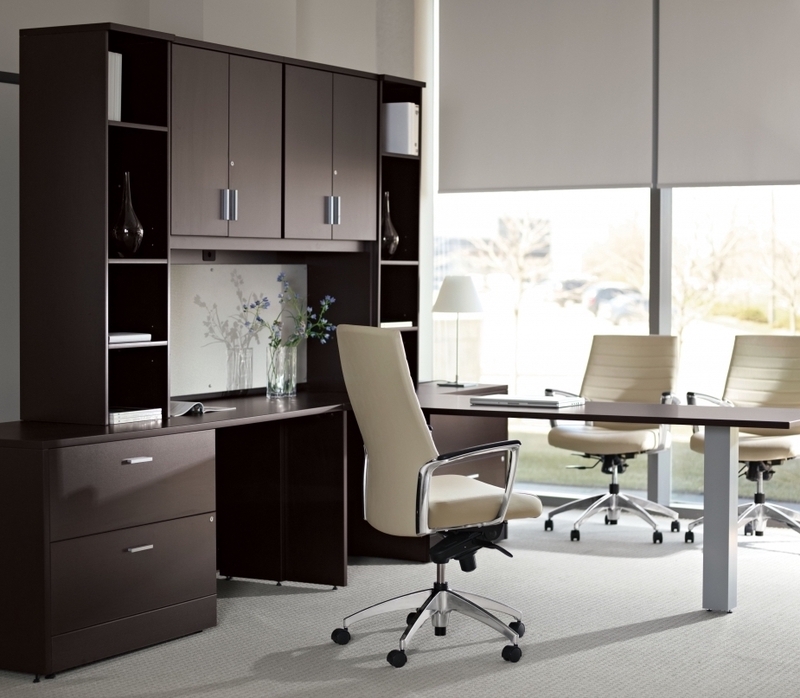 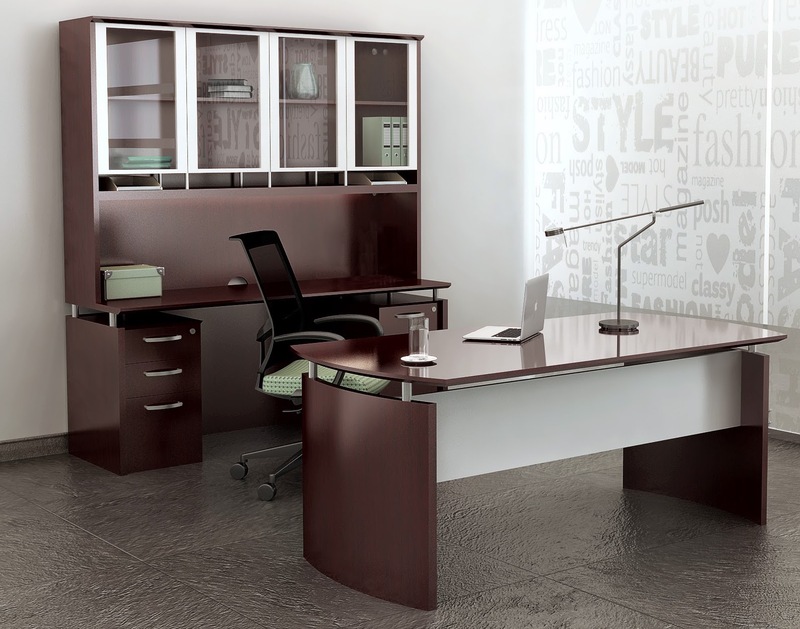 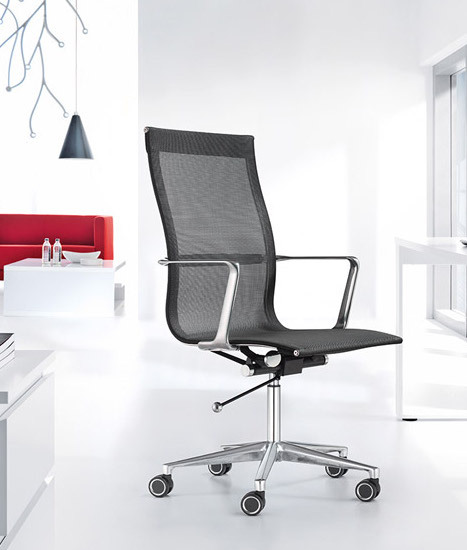 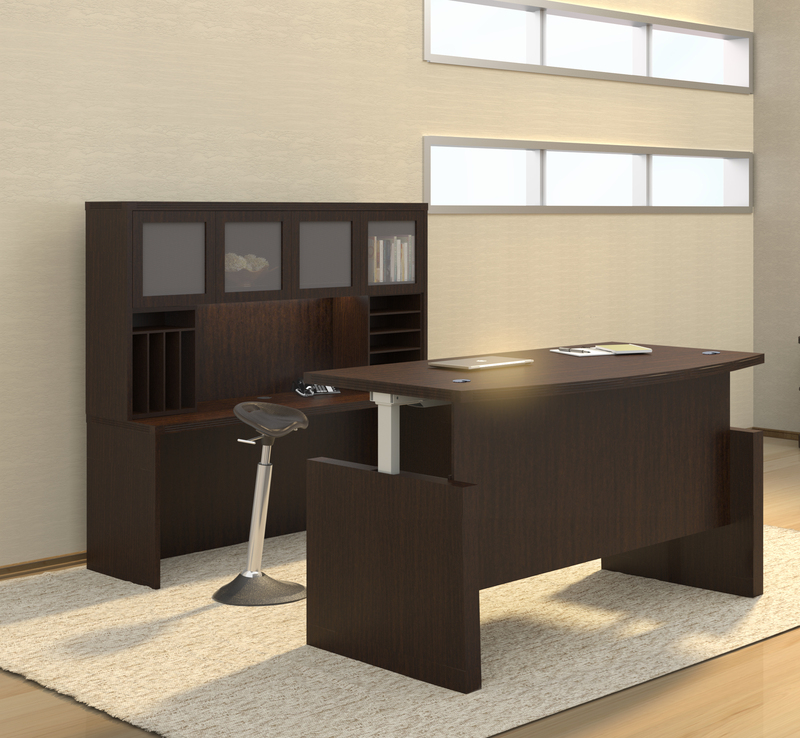 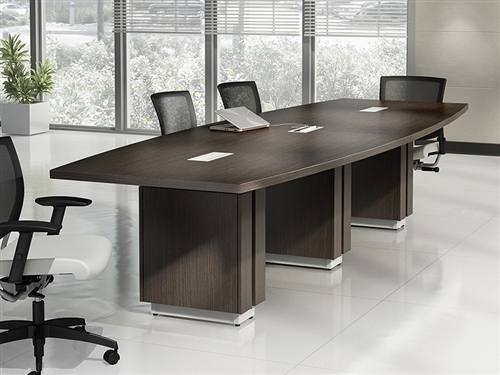 This popular executive office furniture set from the Mayline Napoli collection is available in 3 finish options. 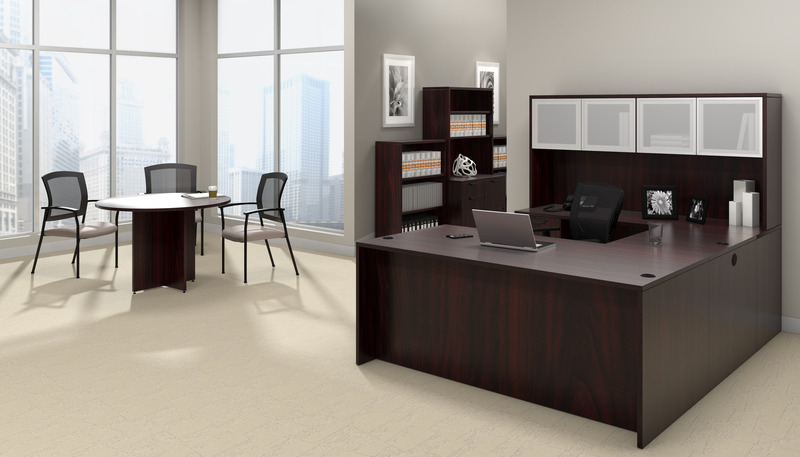 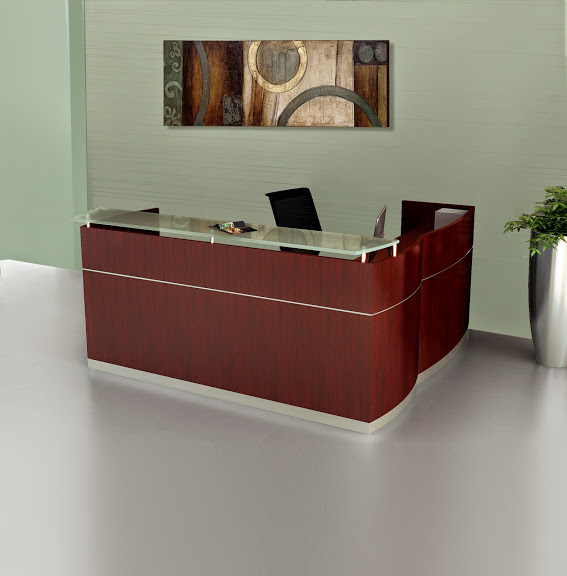 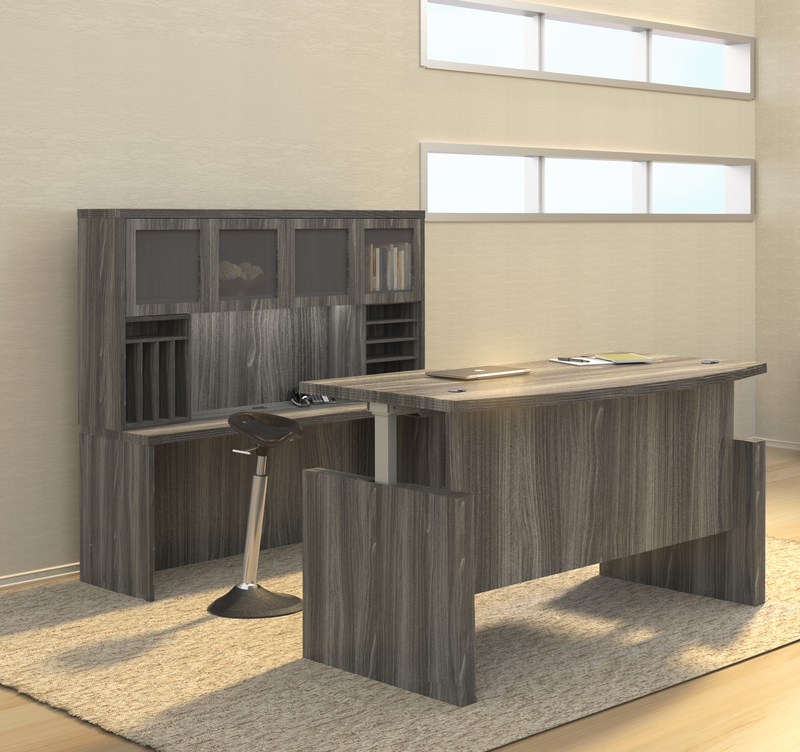 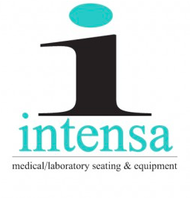 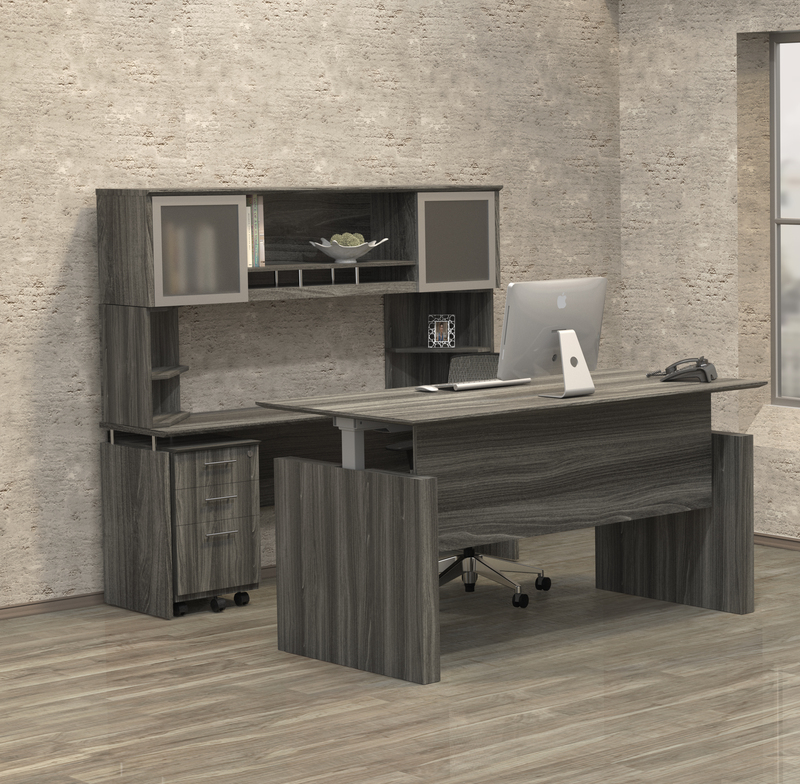 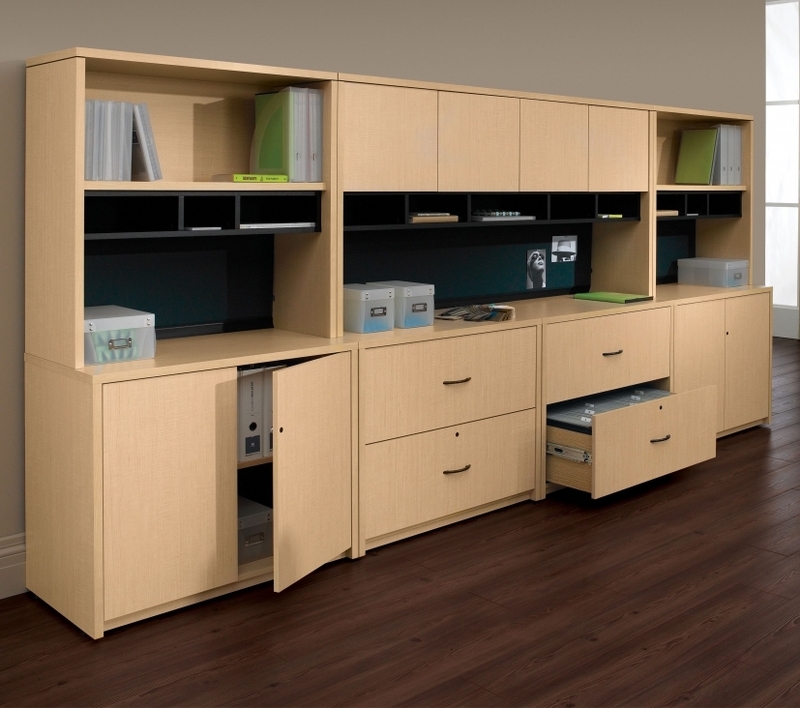 The NT9 model Napoli components configuration includes a 72" wide office design with right and left handed extensions, along with a low wall cabinet and 2 quarter round bookcases. 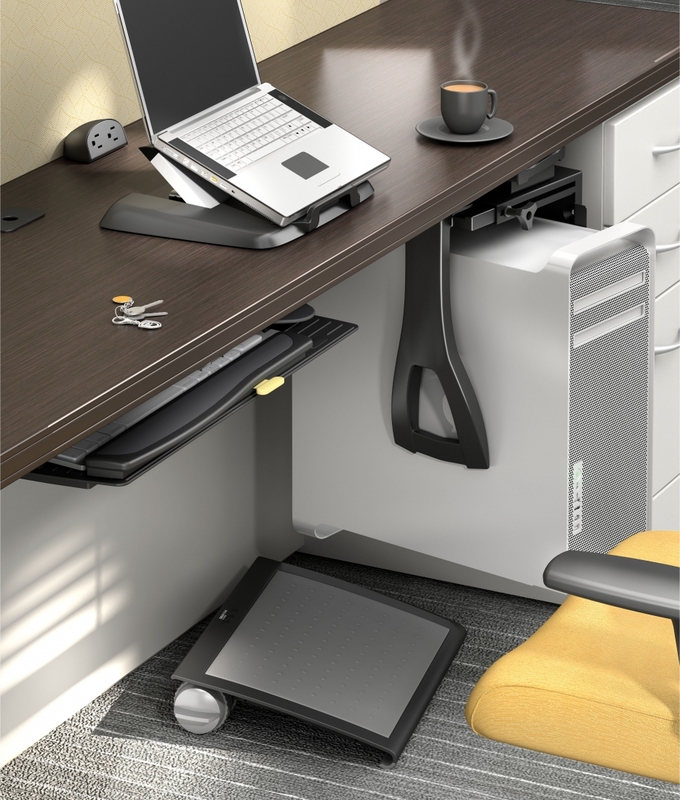 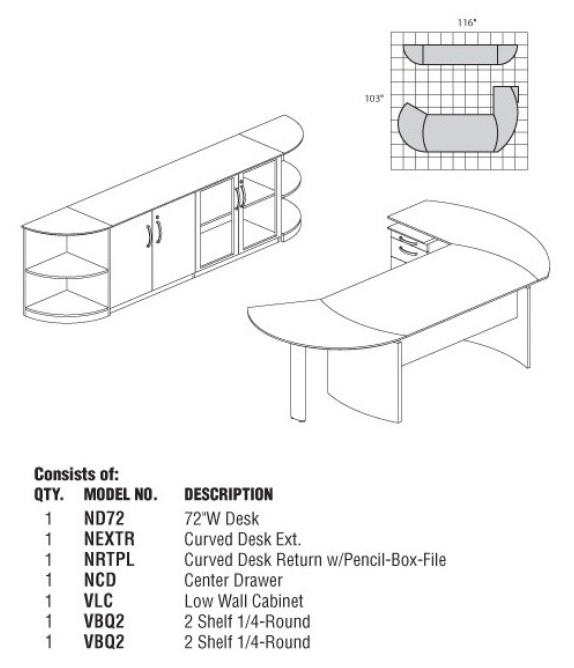 (1) NEXTR Curved Desk Ext.